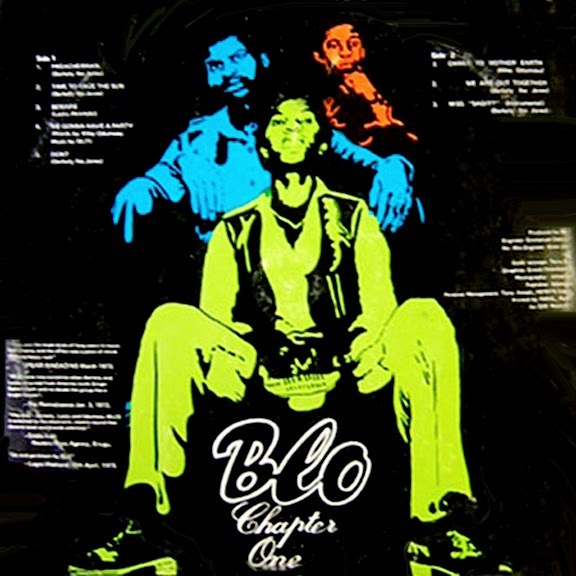 Blo (aka BLO) were an early 70's African band that fused the Afrobeat rhythms of their native Nigeria with the mind-expanding psychedelia and funk of late 60's rock from the Western world. 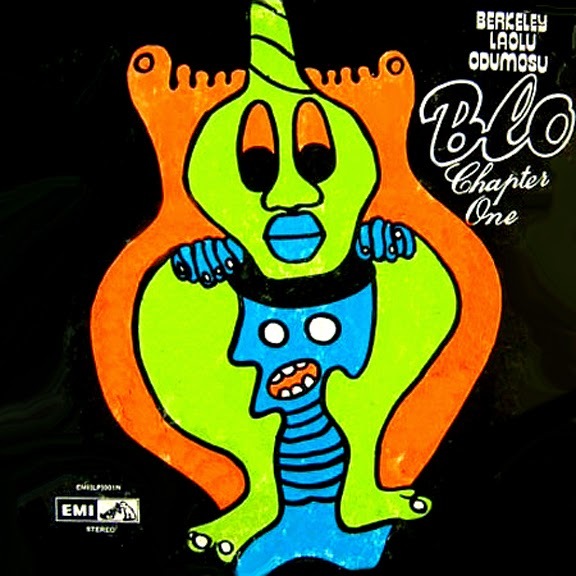 The three members, Berkely Jones, Laolu Akintobi and Mike Odumosu created the name BLO from B for Berkely, L for Laolu and O for Odumosu. Their debut record, Chapter One, is considered by many to be one of the most sought after albums from Africa. While it isn't nearly as funky as their following albums, it still stands as one of the best psych-funk albums to ever come out of Africa. Chapter One walks the line between rock, funk and psychedelia. Perhaps the most obvious reward in listening to this album is the great guitar work featured prominently throughout the length of the album. At times it is straight forward and driving, yet most of the time it has an "out of this world" psychedelic sound to it. On the instrumental track, "Miss Sagitt", it even sounds Arabic towards the latter half of the track. The bass and drums are fantastic also, but most of the “African beat" was reduced to traces because they were in fact completely absorbed into the heavy rock drive. As for the vocals, they are sparse throughout, and the majority of these tracks would be instrumentals were it not for the occasional vocal outburst. The group would change direction after this album after being pressured by their label to make a more funk dominated record. If you dig this, check out a comp called "Nigeria Rock Special: Psychedelic Afro-Rock and Fuzz Funk in 1970s Nigeria". bluntvision.blogspot.com has a copy posted. Subcomandante Marcos: Thank you for the recommendation. In return I would also like to recommend "Nigeria 70 "The Definitive Story of 1970'S Funky Lagos". If you haven't had a chance to listen to it, it's a great three disc set of Nigerian funk well worth listening to. @Anonymous: You're very welcome. I'm glad you are enjoying it. Let me know if there is anything else you would like to see posted here. @Zach V: You caught me at a bad time. We're in the middle of "Sci-Fi September", with the "Halloween Countdown" coming up in October. It wouldn't really be fitting to post this album during that time, however, I can work around that for you. If you're interested, and haven't managed to obtain this album elsewhere, please respond back and I will take the time to reupload it for you. I'll have to update the post, and keep the same publishing date so that the post doesn't get bumped to the top of the blog though. i would love for you to repost, but take your time. no rush. I cant seem to find it. @Zach V: I don't mind re-uploading this at all, in fact it is much easier for me to simply reupload albums because I don't have to take the time to write a review. I planned to work on re-uploading albums once the Halloween Countdown ended. I plan to re-upload the Born Bad series, but I will re-upload this as soon as I am finished with it. Once I replace the download link with the new one I will change the post's publication date so that it will appear at the top on the main page of the blog. This looks awesome, but the link is down. Is it possible to upload again? hey this link is not working, do you think you could send me a ink to download this, I have phase three but I would like to hear the first one from blo. let me know, thanks. shalom, this link is not working, do you think you could send this to me somehow, I would love to hear this early blo. Sorry it took so long to re-upload this. I am not the original poster, but I have been trying to go back through requests for re-ups & see what I can do. Enjoy.